Gimbal performance is affected by the weight of the camera. 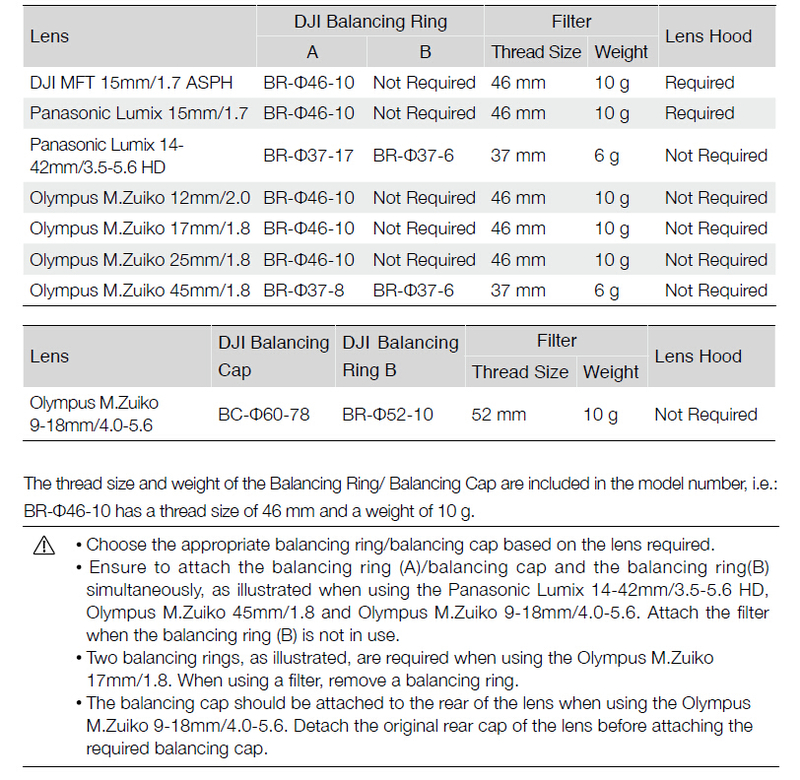 Install accessories according to the following table to stabilize the lens. Details are shown as below.